In a plumbing crisis, every minute counts. 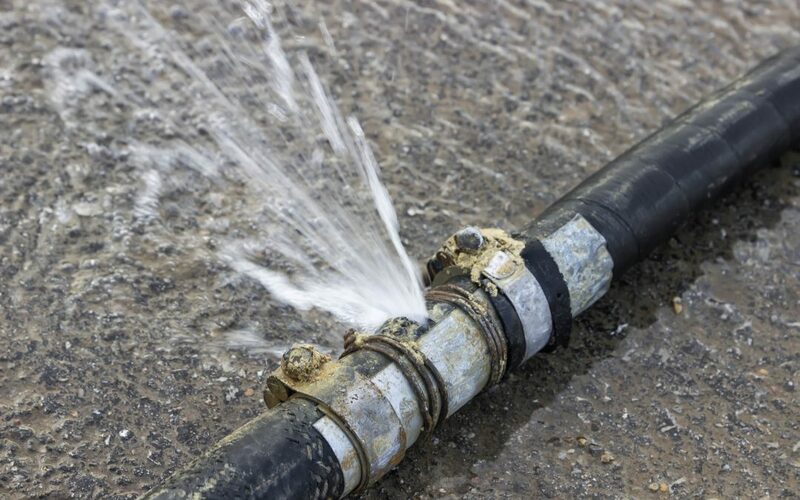 A burst pipe can cause substantial damage in a home if emergency measures are not taken. Emergency plumbers Mississauga respond immediately to clients who require water leakage repairs. However, you can work quickly to minimise damage if you suspect that you have leaky pipes. The following are some measures that can be of help in case of an emergency while waiting for a plumber to carry out a water leakage repair. Water can travel along the pipe a significant distance from the source of the problem before falling as a drip. Wipe the area around the suspected leak with a piece of cloth to dry it and look cautiously for the source of the leak. It is important to turn off the water supply to the affected pipes. If there is a local shut off or internal valve, use that. If it’s not possible, you may have to turn off the main water supply valve as you wait for the emergency plumbers. No practical water leakage repair method exists for removing pipes from glued fittings. When a leak is positioned at or within two inches of a joint, the simplest repair method is to remove a section of the pipe along with the attached fittings. Remove at least one inch of piping on either side of the leak. The defect triggering the leak may not be readily obvious on visual inspection thus removing a few material decreases the chances of the leak reappearing until emergency plumbers can examine the leak. The following stopgap measures may be used to temporarily stop water leakages as you wait for a plumber. A patch is a temporary water leakage repair solution that stops pipe leaks immediately. Patching a leak gives you time to save money to hire a plumber to come in and replace the leaking pipe. The temporary fix avails you time to buy parts needed to replace the pipe. Patch small pin leaks with pipe repair clamps. These clamps are used on submarines and aircraft carriers, so you can be certain that they will be solid enough to keep a broken pipe in one piece for some time. They do not provide a long term solution but they do a good job of containing it until an emergency plumber arrives. The first step here is to coarsen a four-inch area on the surface of the pipe around the leaking area with a coarse file rasp. Put on rubber gloves and take a small ball of the pipe bonding and press it between your palms to form a circle. Fill a bucket with water and immerse the pipe repair tape fully then squash it three times over a period of twenty seconds to dampen it and stimulate the epoxy compound in the tape. Focus the pipe repair tape and start to wrap it around the pipe. This will offer a temporary water leakage repair solution until an emergency plumber can attend to your water leak.